Veterans of the United States Military who wish to own a home have a resource that in second to none in supporting home purchase through the U.S. Department of Veterans Affairs (VA), which offers a home loan guaranty benefit that is second to none. Not only is there an excellent facility to buy a home with a first mortgage on favorable terms, but veterans can also take advantage of the IRRRL program that enables them to refinance their VA home loan if and when better conditions become available. Past and present service members in the United States Army, Air Force, Navy, Marine Corp, or Coast Guard, you may be eligible for financing with a Veterans Administration-backed home loan. If you are active duty military or a qualifying veteran you can take out home loans that have the best, most generous terms available on the market. If you have sufficient credit, veterans and service members can get a low cost, no-money-down VA loan. These terms apply to veterans, active service, reserves, and National Guard, as well as some surviving spouses. 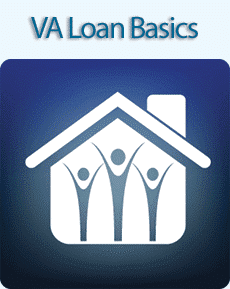 Like FHA and other government-backed loan programs, VA home loans have conforming limits. However, these limits are slightly more flexible when it comes to geography. The ceiling on a conventional VA home loan depends on the county in which the property is situated, with the maximum being $417,000 in most counties, but this increases significantly depending on the value of real estate in that county. Veterans who already have a home loan through the VA program can refinance at a low cost using the VA Interest Rate Reduction Refinance Loans (IRRRL) program. Unlike your original VA financing, you do not need to have a certificate of eligibility to qualify. The cost to refinance for qualifying veterans is very low because there is no requirement for appraisal or loan underwriting fees; there are no costs out of pocket because the interest payments include the expenses. Lenders are under no obligation to make an offer on your IRRRL application. So, you will have to shop around if your preferred lender is not interested in responding. Other, less scrupulous, finance companies have been known to claim they are the only source of an IRRRL refinance, so again, shop around before you commit to any lender with which you are unfamiliar. Considering the sacrifices and hard work undertaken by the members of our military it is only right that the country should honor our veterans with the chance to own homes on easy to meet terms. Financing your home purchase with the help of the VA is one of the most successful entitlements that we provide for our veterans. If you fit the criteria, you have an outstanding opportunity to own a home. With the VA IRRRL program, you might just be able to improve on the VA backed home that you already have.